Energy work promotes relaxation and often provides new insights and solutions for day-to-day situations. Energy healing can help one balance emotions and feel more grounded and less affected by stressful life events. Energy balancing is at the foundation from which other healing can occur and can still experience inner peace even when life is swirling around them. Balanced energy and emotions can help you handle stress, enjoy life, and experience healthier relationships. Some clients respond with improved physical health once we have addressed emotional health first. Energy work is light touch that gently balances the chakra system or meridian system (in Eastern Medicine) to promote self-healing. The energetic system of the body consists of main centers along the body’s midline that correspond to specific organs, glands, and body functions. Energy work encourages relaxation, restful sleep and a sense of well-being. Clients usually report reduced pain, stress and more meaningful relationships at work and in their personal life. Energy work is safe and effective for all ages and levels of health. It is gentle enough for pregnant women and children, and is a useful tool to help reduce discomfort or complications occurring with pregnancy, childbirth, and lactation. During an energy work session you lie comfortably on a massage table fully clothed; no lotions are used although at times the practitioner may suggest an essential oil. Soft lighting and soothing music (if desired) create a tranquil and peaceful environment. You receive energy through the practitioner’s hands, with little or no pressure used. 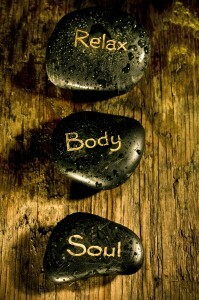 Your body, in its own wisdom, takes in enough energy to dissolve blockages and create balance in the chakra centers. 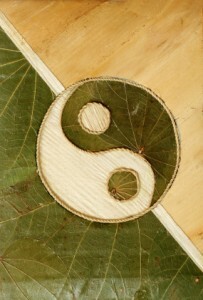 Energy work creates balance on the physical, mental, emotional, and spiritual levels. Clients often report feeling a warm or tingling experience, and may feel strong emotions during or after the session. Your practitioner will help you better understand any sensations or insights. Traditional Chinese medicine is based on the belief that all physical imbalances and symptoms have corresponding emotional imbalances. For thousands of years traditional Chinese medicine healers have addressed emotional health with their patients just as they address physical symptoms. Acupuncturists at Isthmus will also address emotional correspondences to physical symptoms during your regular acupuncture sessions.